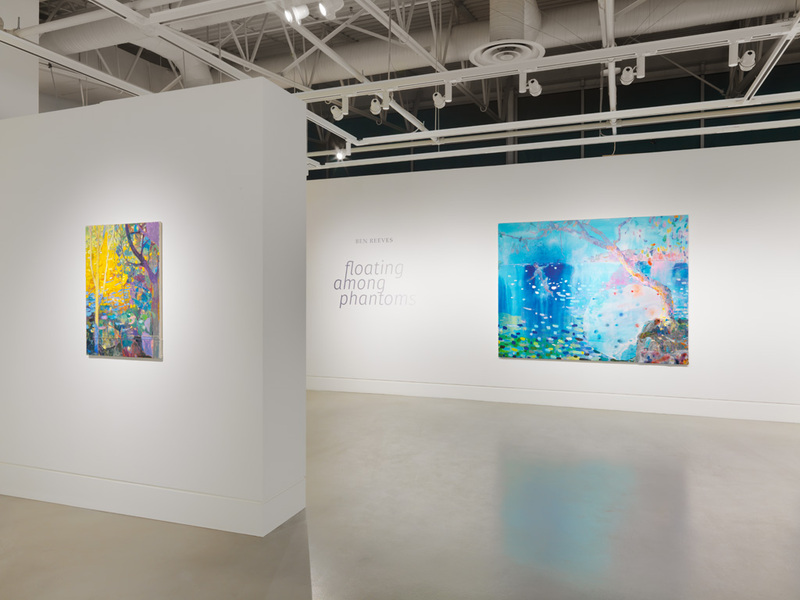 Floating among Phantoms features a collection of new and recent paintings by acclaimed BC artist Ben Reeves. Reeves’s artistic practice is an intensive, personal account of perception and how the world is realized through pictures. 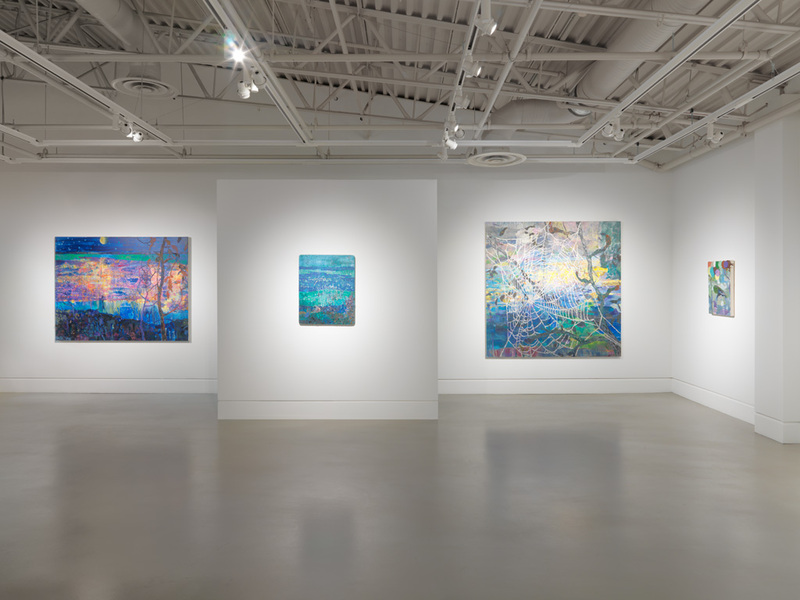 The exhibition draws together paintings from several bodies of work made since 2014, in which Reeves investigates the provisional structures of tents, Vancouver city lights seen from afar, close observations of the suburban landscape and seaside beach views. 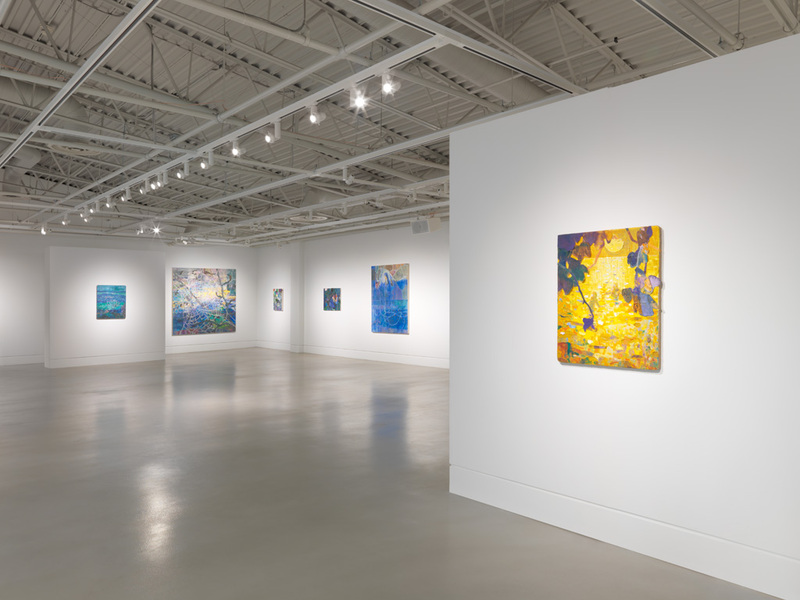 Together, these works point to overarching trends and the ongoing material investigation of paint that extends throughout the artist’s practice. Reeves has exhibited his work extensively in Canada as well as in the US, UK and China. His artwork has been included in such important exhibitions as The Painting Project: A Snapshot of Painting in Canada, Galerie de l’UQAM, Montreal, 2013; Shifting Space, Museum of Sichuan Fine Arts Institute, Chongqing, 2005; and For the Record: Drawing Contemporary Life, Vancouver Art Gallery, 2003. Reeves’s works are held in the collections of the Montreal Museum of Fine Arts; Museum London, Ontario; Vancouver Art Gallery; Surrey Art Gallery, BC; and National Gallery of Canada, Ottawa. Reeves received a BFA from the University of British Columbia, Vancouver, and an MA from Chelsea College of Art and Design, London. 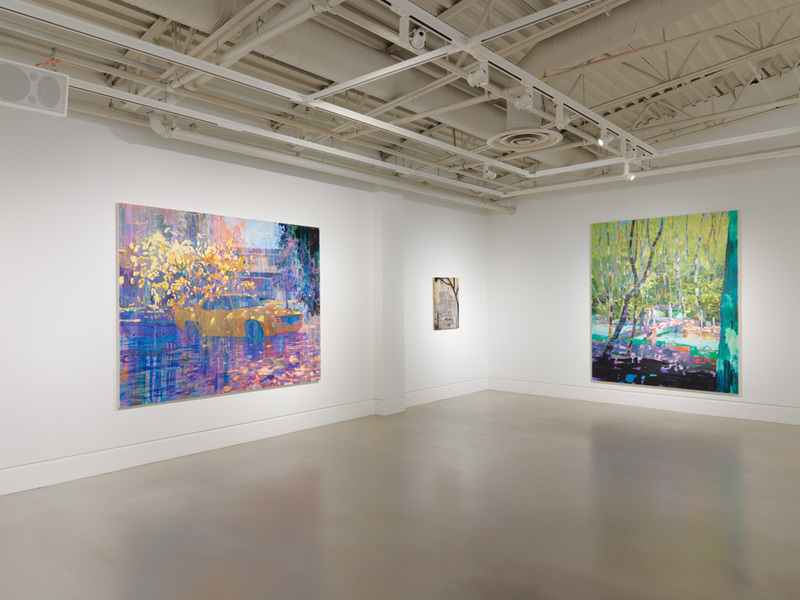 He is represented by Equinox Gallery, Vancouver. He currently resides in Tsawwassen, BC, and is Associate Professor in the Audain Faculty of Art and the Jake Kerr Faculty of Graduate Studies at Emily Carr University of Art + Design, Vancouver, where he influences generations of emerging painters. 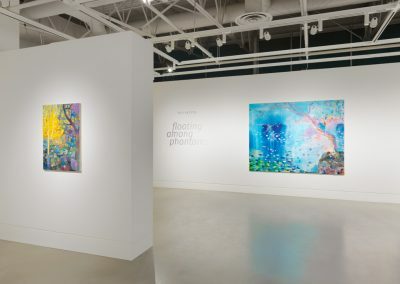 All images: Installation view of Ben Reeves: Floating among Phantoms, exhibition at the Art Gallery at Evergreen, 2018, Photo: Rachel Topham Photography.